MegaPodzilla # 31 Featuring Koo Koo Kanga Roo! Krazy Joe and Dave are joined by the greatest dance duo to ever come out of Minneapolis! It's Koo Koo Kanga Roo!!! This week, the Prediction Network discusses the new trailer for 'Captain America: The First Avenger', discusses the casting of Amy Adams as Lois Lane in Zack Snyder's 'Superman: The Man of Steel', and looks at two new movies opening on Friday April 1st: James Gunn's 'Super', and Duncan Jones' 'The Source Code'. Dave and Joe both give big High Five's to the latest episode of 'Batman: The Brave & The Bold', which guest stars Superman. The episode takes a great deal of inspiration from the popular website Superdickery.com. Dave also gives high fives to some older film's he's recently caught with on DVD, such as 'Mystery Team', 'Splice', 'Machete', and 'Piranha 3D'. The Damage report looks at the new God-awful 'Batman: The Brave and the Bold' action figure 3 pack that comes with a Metallo figure that can't stand on his own, or put his arm down. This toy is a piece of crap! The Damage Report also takes aim at the new Simon Pegg film, 'Paul', and the season (series??) finale of ABC's 'V'. Koo Koo Kango Roo will be starting an east coast tour with Someone Still Loves You Boris Yeltsin at the end of April. 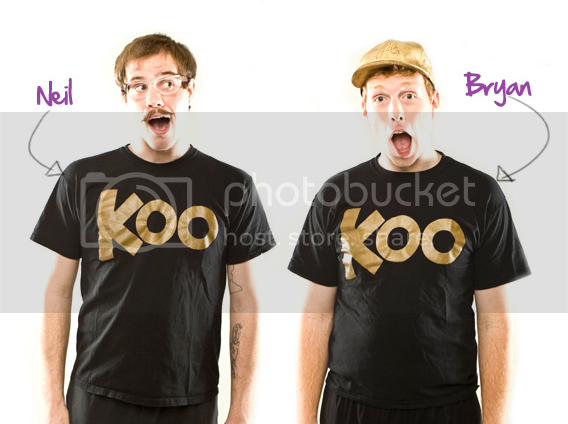 Please check out their website at KooKooKangaroo.com for tour dates. They really put on a great show, and you don't want to miss them! 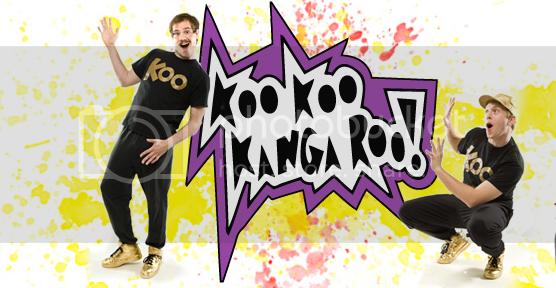 Also, be sure to pledge Koo Koo Kanga Roo on Kickstarter to help them get a new tour van! Please become a fan of MegaPodzilla on Facebook, and subscribe to us on I-Tunes. MegaPodzilla T-Shirts are Now Available! Now you can be the first of your friends to own the MegaPodzilla T-Shirt, as designed by the one and only Dave Perillo! MegaPodzilla's palm is blinking red ... It's Episode 30! "Krazy Joe" and Dave are once again joined by director Daniel Farrands, along with Thommy Hutson. Daniel is the director of 'Scream: The Inside Story', which Thommy wrote and produced. "Scream: The Inside Story" is a documentary about the first "Scream" film, and will air on Wednesday April 6th on the Bio Channel. Be sure to check it out! In the High Five segment, we give High Fives to "The Adjustment Bureau", "Take Me Home Tonight", "Cedar Rapids", and "Drive Angry 3D". We also high five the new toys tht were revealed at this year's Toyfare convention, including the new Thundercats and G.I.Joe figures.